Gone are the days of pipe cleaner fridge magnet crafts at Park Ave Festival. These days I am finding cool jewelry and my favorite... clever t-shirts. 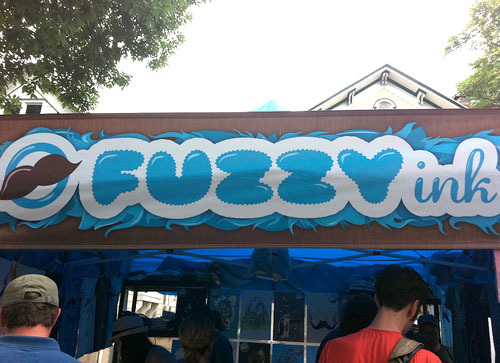 The first booth we stopped at was Fuzzy Ink. All of their designs include a moustache somewhere. 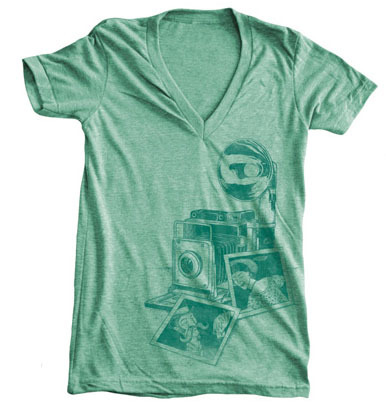 I couldn't pass up this camera tee. The moustache appears in the bottom snapshot. They also had prints! I can't pass up prints these days. I got this fox one. I really need to get all my prints framed now. 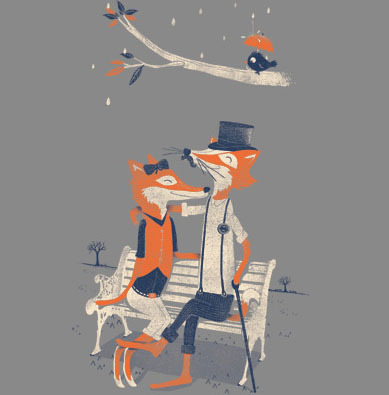 Note the gentleman fox's moustache. 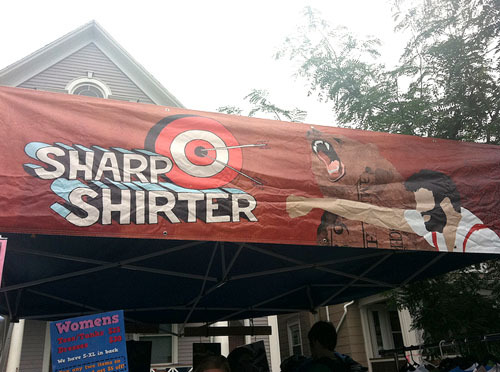 The second t-shirt booth we checked out was Sharp Shirter. They have several designs where someone is getting smacked. Everyone was talking about Shark Week days earlier so I got Aaron the shirt with a diver punching a shark. Especially funny because we have been watching the Mega Shark movies. 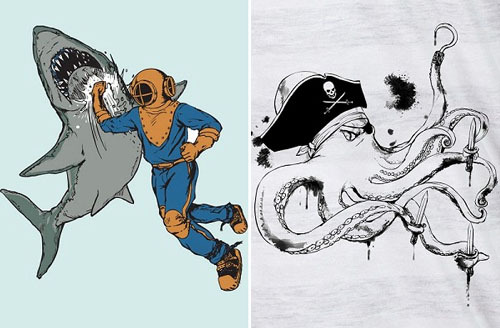 I also got him the pirate octopus t-shirt... because who doesn't need an octopus t-shirt. I love that these booths were at the Park Ave Fest. The designs are great and the t-shirts are those super soft American Apparel kind. No more crocheted toilet paper cozies! I'd love to get all of these printed t-shirts! I marvel at your self-restraint. All the prints look just fine. You can also choose from several sizes. Nice blog ! Really would like to say thanks to all of you guys. Sharing Knowledgeable information here.